What Users And Professionals Say About The Brand In Reviews? Wanna see Natural Balance puppy food review by dog food judge? 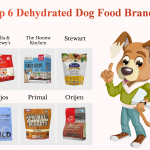 I decided to examine the product and show you all the advantages and disadvantages of this very popular dog food. One of the most popular brand on the internet requires special attention. Don’t you agree? Fat and fiber to protein ratios review. 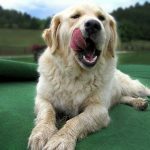 What users say about Natural Balance puppy food in reviews? As I already say this is one of the most popular foods for puppies. 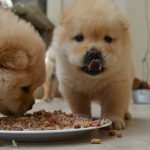 Download my comparison of top 10 foods for puppies here. Now let’s see the Natural Balance puppy formula review. 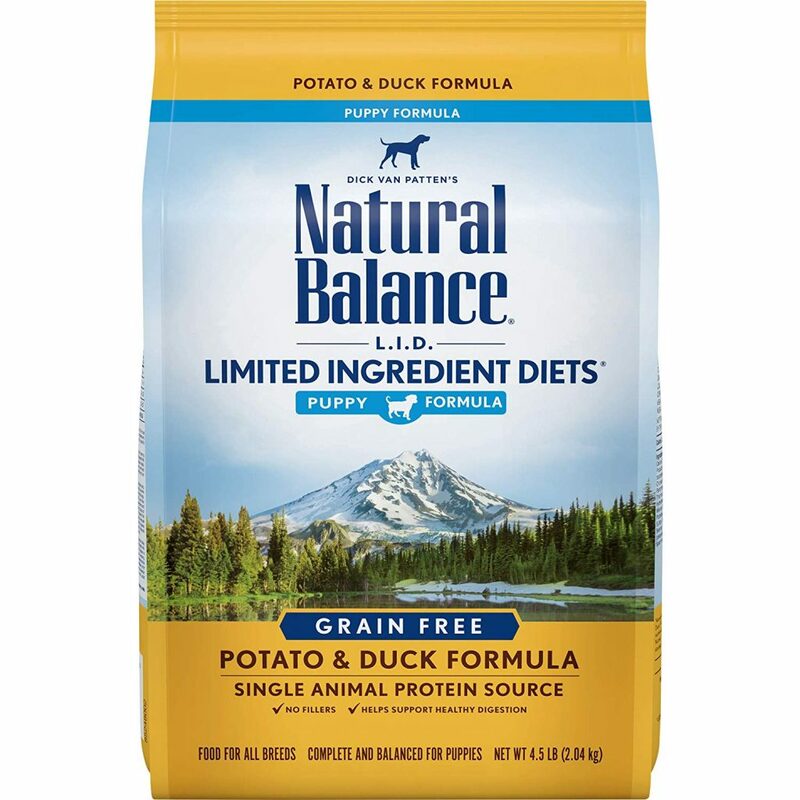 Natural Balance is the most popular puppy brand on Amazon and that is no coincidence. 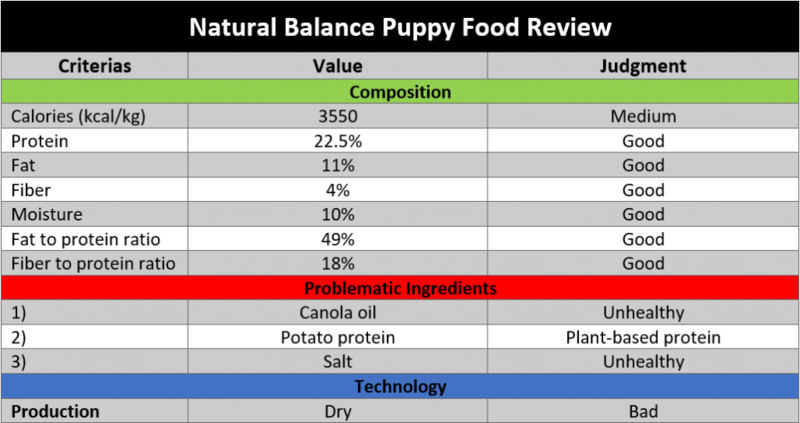 I have made a Natural balance puppy food review and conclude why is that so. I decided to start my examination with the composition. It is the first thing you can see on the product. The composition is written as the minimum percentage that every product should have. What are minimum composition percentages? The percentages are very good. Proteins level are higher than fats and fiber levels. Also, the composition is almost ideal. Why? In just a few seconds you will see ratios which makes this brand composition almost ideal. In order for the food to be well balanced, it needs to have ideal fat and fiber to protein ratios. Now you certainly ask yourself what are ideal ratios. Right? In my 6 tips for choosing the right dog food (see more) I mentioned ideal ratios. The fat to protein level should be ½ and the fiber to protein ratio should be ¼. How about this product does it has ideal ratios. Let’s see.. The ratios of Natural Balance product are almost ideal. This is perfectly balanced food by its composition and the ratios. The second step in reviewing the product is ingredients examination. The ingredients list review is one of the most important if you want to see does it contains some dangerous ingredients. …if the product has dangerous ingredients than it is irrelevant information. The product will be dangerous and I will advise you to stay away from it. Does this make sense to you? Others: potassium chloride, taurine, mixed tocopherols (preservative), rosemary extract, green tea extract, spearmint extract. I am a dog food judge and I have examined hundreds of product so I know which ingredients are unhealthy or dangerous and why. Here I point out three of them. Potato protein – plant-based protein and cheap ingredient. As you can see there are not many problematic ingredients. In fact, the list is very correct. The ingredients that I point out are less healthy for your little puppy but there are no dangerous ingredients and that is good news. Now let’s see the price review. The price is very low and it is not strange that it is very popular puppy food. However, the price can vary a lot depending of the situation on the market. The lowest price is always on Amazon. 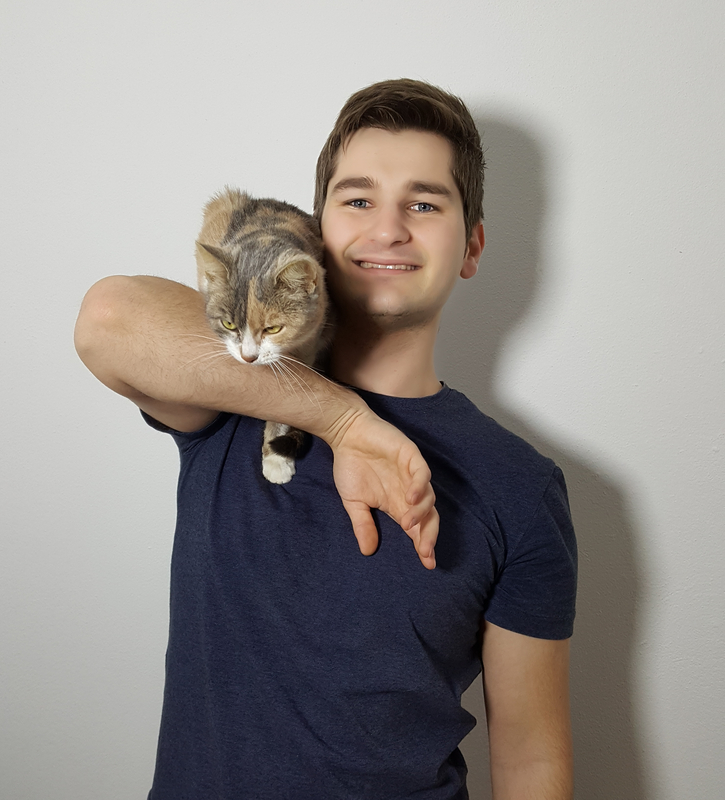 When I made a review the lowest price was $13.99 but as I say the situation can change a lot so it is the best that you check it for yourself. After examination of the Natural Balance puppy formula product I have concluded that the product is good but not the healthiest one. Why? The main problem is the drying technique which causes cancerous components creation. Also, there are 3 less appropriate ingredients that I point out. These ingredients aren’t dangerous so my final grade isn’t affected a lot. On the contrary, this puppy food composition is great to be more precise almost ideal. Proteins level are higher than fats and fiber levels which is very good. To get a better picture I made the analysis of the ratios. Fat and fiber to protein ratios of this brand are also almost ideal. These lead us to the fact that this product is perfectly balanced for puppies. My final review grade is 86/100. The most reliable reviews are the ones with the highest number of users and that would be Amazon reviews. On the other hand, the best professional reviews would be dog food advisor reviews. So, what users and professionals say about brand in reviews? Dog food advisor grade: 3/5 star. The user reviews are very positive and very high. This is one of the highest grades for pet food products on the Amazon. As you can see the dogs love this brandand their owners too. The professional reviews who look for the advantages and disadvantages reviews are little less. Well as I say the product isn’t perfect. However, there are only 2 foods in the list of dry products that can match with this one and that are Taste Of The Wild and Wellness Core. 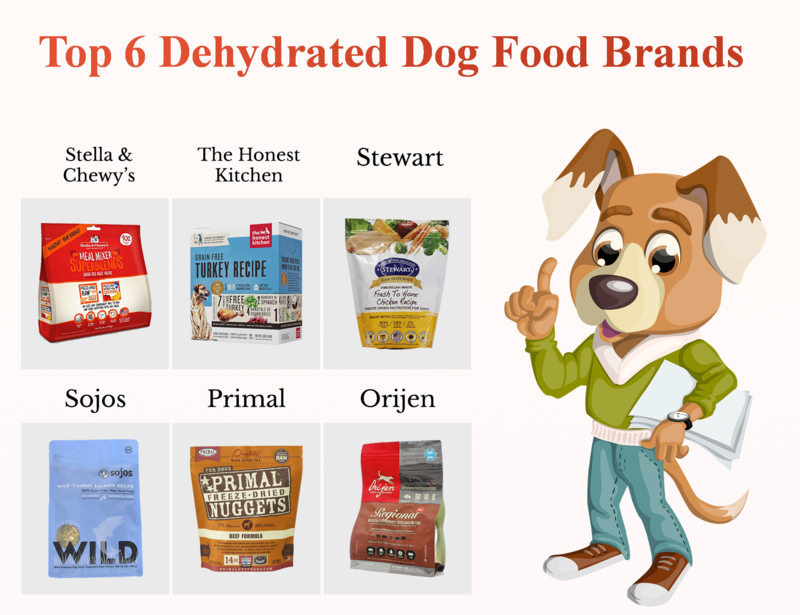 For more information download my comparison of 10 most popular foods for puppies. I am a dog food judge and in this article, you can see Natural Balance puppy food review and my final judgment. I provide this brand grade 86/100. Why? The product is very well balanced and there are no dangerous ingredients in food composition. Although the product has three unhealthy ingredients, the technology of production is drying and there are a lot of plant-based proteins. This is a very good result and I recommend this product for puppies.